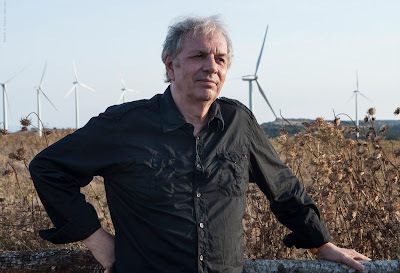 Oregon’s Ralph Towner spent some of his only free day during the band’s current 14-date European tour speaking from his hotel room in Augsburg, Germany, to Editor-at-Large Peter Bacon. And so Oregon was born. 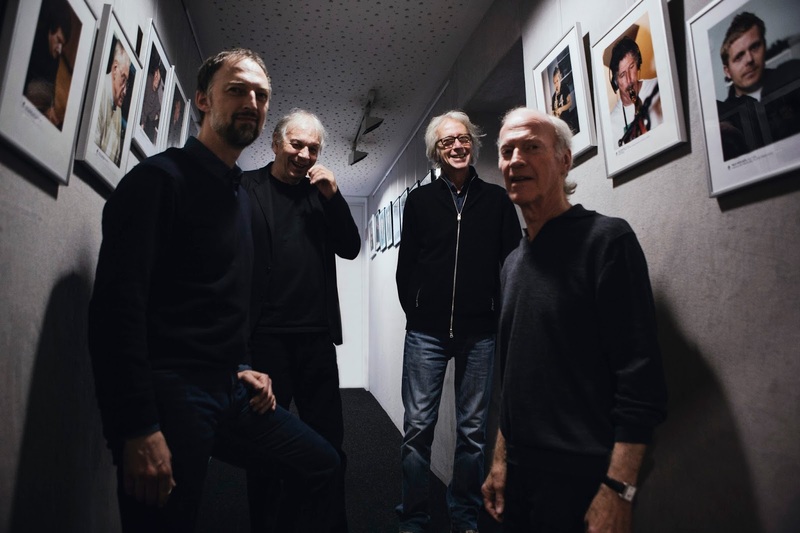 Nearly half a century later half of that original band, Ralph Towner and Paul McCandless, now with Mark Walker and Paolo Dalla Porta, will be at the Pizza Express Jazz Club in Dean Street, Soho, for three performances on Friday 20 and Saturday 21 July. London Jazz News: You and Paul McCandless are getting near to your “golden anniversary”. Ralph Towner: Yeah, I guess you could call it that. It’s a round number in 2020... if we make it that far! LJN: Given the length of time Oregon has been going, how easy has it been to incorporate percussionist Mark Walker and now bassist Paolino Dalla Porta into the Oregon way of thinking? RT: In both cases it was quite easy. Paul McCandless was doing work with Lyle Mays and Mark was on drums. 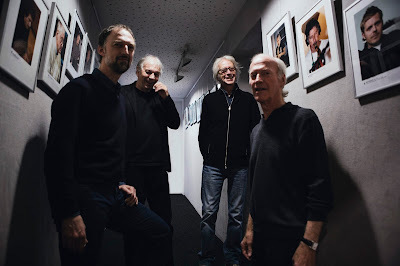 Trilok Gurtu had been our drummer for seven years after Collin died [Walcott was killed in a road accident during a European tour] and we tried one record as a trio, and a couple of tours as a trio. And then we did a recording with two drummers and one was Mark. He fitted in immediately. But it changes the music completely. You add one different player in a group of four and it alters the entire way the music is played. Not the concept, but the responses and the way you play off the other person - that creates the change. And it can be a good one if the musician is any good. In this case Mark is very good. His expertise is very much more with Latin American rhythms and percussion as well as being a very good jazz drummer, so that altered the chemistry of the remaining three. But fortunately, I knew Paolino would be a good fit because he’s a great musician, able to play all sorts of music - and sure enough he’s fitted in perfectly, and we were able to have a rehearsal at my home in Rome - a day in which he learned practically the entire repertoire that we were going to use on that tour. He has worked out great, again changing the way the group sounds because he’s more facile than Glen was, and sometimes comical. It has taken us to another level of playing that is really welcome. It’s kind of an instant evolution if the player works. LJN: Despite these personnel changes, the essence of Oregon remains really strong. To what do you attribute this? RT: The reason that Oregon continues is because of the compositions as well as the way the compositions are played.The compositions are not always standard jazz forms - I started writing sectional kind of things which would involve the improvisations on different material rather than have everyone playing on the same chord changes. Trying to make more long forms, and that basically is one of our identifying factors, along with those different rhythms - not always swing time. And now we don’t have the tabla there is a more Latin feel to it. But overall it’s the compositions, I think. LJN: And the eclectic nature of that essence, the range of influences in the music - what is the source of that? RT: New York City [in the late ‘60s/early '70s] was where all the musicans were and where all this music was being developed. Weather Report and Mahavishnu and interchangeable jam sessions with all these different players - it was like a small town, you know. I remember being in a group with Jimmy Garrison, Coltrane's bass player, and we were rehearsing at Chick Corea’s apartment... We were all living pretty much in the same area - you could afford to do that then. So when we were hired by Paul Winter he had a really interesting concept of music. But he was doing interpretations of various music - hardly any original composition. We played adaptations and arrangements of Brazilian music and Renaissance music and some Baroque things, and some other pop things - Joni Mitchell kind of things. And so it was a real potpourri of styles. One great thing about the Paul Winter Consort was that I started writing music for that arrangement of instruments, and to incorporate all the flavour those instruments. Based on the tabla and the oboe and the cello and the saxophone of Paul Winter, and my guitar playing - I didn’t play piano in that group - I kind of found a style that was comfortable for everyone. LJN: Will your London performances concentrate on the material from the new album Lantern (reviewed HERE), or will you be exploring Oregon’s vast back catalogue too? RT: Some new material and then things from our entire history. RT: We try to make put things together to make a nice form for the concert so that all the pieces are different and they all function differently in the arc of the concert. We pluck them out from the whole 47 years. LJN: Do you split your time in the group between piano and guitar? RT: Yes, pretty much. I stopped playing 12-string with the group because of the difficulties the airlines cause with all these different instruments. It became too much of a burden to carry two guitars and a keyboard and a third guitar. The synthesisers have now been reduced to one computer and then a keyboard controller. LJN: A far cry from the Paul Winter Consort instrumentation that I remember from the pictures on album covers - it was vast! RT: Yes, it looked like a music store, with all that percussion - the camel bells and tympani even. Paul Winter had this big truck and he would drive from place to place… I don’t think we ever toured outside of the States with the Consort. LJN: You have played at the Pizza Express Jazz Club before, I believe. Do you like the venue? RT: It’s intimate… and has a great audience. It’s fun because the people are close, almost in your lap, and they like that too. And English sound men all seem to be great - they have a good reputation. I’ve always had great luck with sound technicians in England.